The last remaining question: how Threadripper's performance will compare to Core i9's. AMD has revealed the prices for some of its Threadripper CPUs, using the same effective strategy that it executed for its mainstream Ryzen chips: set eye-popping discounts compared to Intel’s own Core i9 family, and probably earlier release dates, too. Given that information, we also know the difference between what Intel and AMD will charge for their respective offerings. 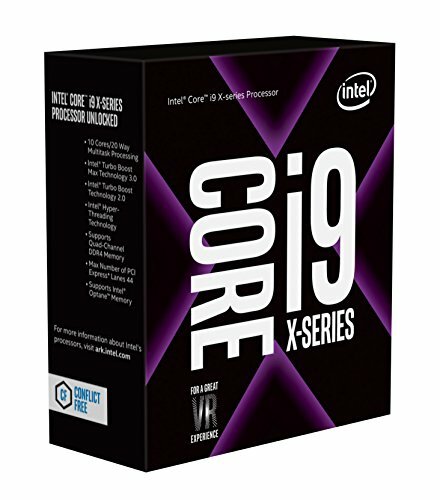 You’ll pay $700 less for a 1950X than Intel’s 16-core, 32-thread Core i9-7960X, and a thousand dollars less than Intel’s 18-core, 36-thread Core i9-7980XE. On the lower end, the Threadripper 12-core 1920X costs $400 less than the 12-core Core i9-7920X, and $600 less than the 14-core Core i9-7940X. AMD says that it will begin shipping Ryzen Threadripper CPUs and motherboards in early August. The company also confirmed that preorders of Alienware’s Area-51 systems will begin on July 27. Why this matters: AMD’s disclosure is a new thrust in the ongoing slow-motion fencing match between Threadripper and Intel’s Core i9. Though it’s deeply important for AMD to offer a microprocessor to compete with the Core i9, both Threadripper and Core i9 are Ferraris in the chip world—a world in which most users still drive a minivan. 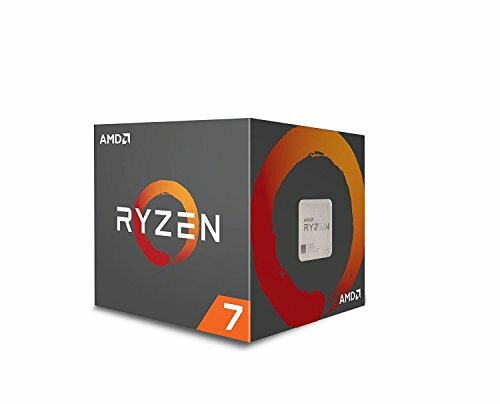 The Motley Fool reporter Ashlaf Eassa noted that of the four most popular PC microprocessors sold by Amazon, all cost around $200 to $300, including a pair of AMD Ryzen 7 chips. 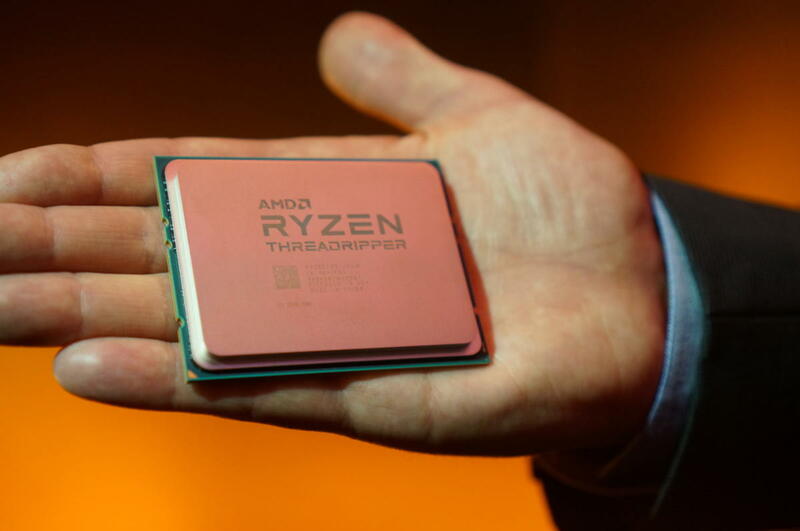 AMD previously revealed the size of the Threadripper socket, which dwarfs the Core i9. Nevertheless, AMD's decision to discount the Threadripper so deeply ensures that consumers will at least consider it if they’re leaning toward an elite processor for gaming and high-performance tasks, analysts say. Intel still hasn't provided all of the details for all of its new chips, but here's the latest, official word. In fact, AMD seems to have its finger on two key triggers that help drive sales: price, and availability. Intel hasn’t said exactly when it will begin shipping its Core i9 chips, though availability began in mid-June with its low-end Core i7 chips, and will run all the way through a scheduled October launch for the 18-core Core i9-7980XE. It’s very possible that an August Threadripper launch will beat Intel to market by a matter of weeks, if not months. The announcement of Threadripper’s prices fills in another major hole in our knowledge of AMD’s elite chip. We already know that Threadripper's new TR4 socket will be absolutely enormous. 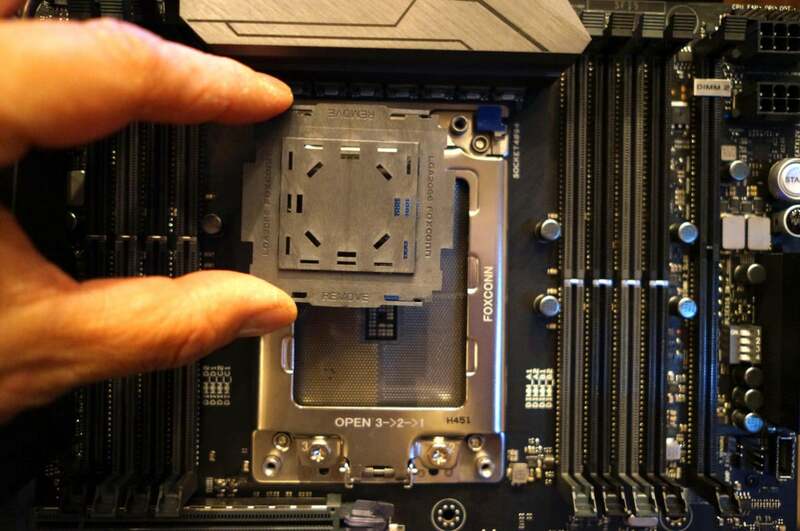 You’ll find sockets like it on motherboards such as the Asus Zenith Extreme, presumably part of the contingent that AMD’s partners will release in August. The X399-based motherboard will feature eight DIMM slots for up to 128GB of DDR4 RAM, four x16 PCI-E gen. 3 slots, a U.2 slot, three M.2 slots, and 12 USB 3.1 ports. The final question? Performance. Threadripper will be based on the same underlying architecture powering AMD’s Ryzen chips, so our reviews of Ryzen 7 and Ryzen 5 can give you insights into its potential: the more simultaneous tasks being asked of it, the better. AMD's Threadripper 1920X vs. Intel's Core i9-7900X in the Cinebench R15 benchmark. 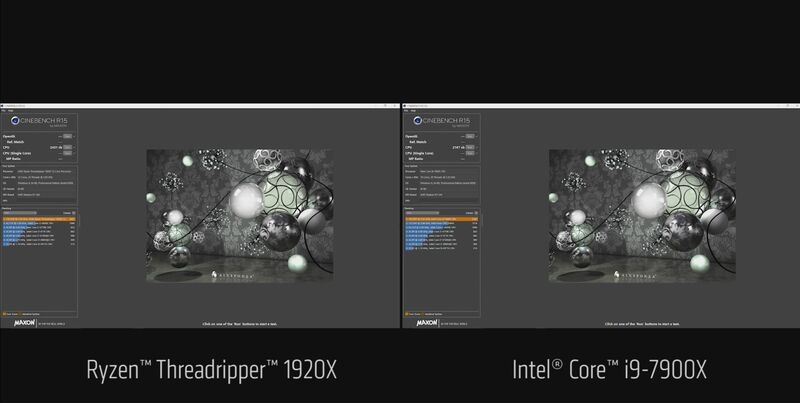 In a video showing how the Threadripper chips compare against Intel's most powerful currently available CPU, the $999 10-core Core i9-7900X, AMD tested the multi-threaded Cinebench R15 benchmark on all three. The $799 Threadripper 1920X turned in a score of 2431 compared to the Core i9-7900X's 2167, while the flagship $999 Threadripper 1950X blew past both of those at 3062.